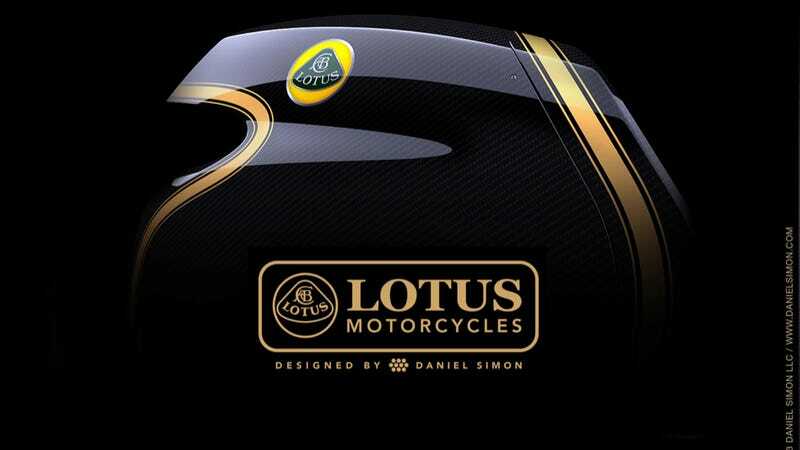 In yet another sign that famed-but-troubled sports car manufacturer Lotus is turning into a branding and marketing company, the automaker has announced that they are getting into the motorcycle business. They just won't be building them. Lotus says they will soon be unveiling the C-01 motorcycle, and while there are no exact details on that bike yet, the company said in a news release that it will be "a hyper bike with integrated racing technology." They say it will include goodies like carbon fiber, titanium, and a 200 horsepower engine. It sounds neat and all, but will it really be a Lotus? After all, the bike is a joint project of Kodewa of Germany, who built and ran an LMP2 car at Le Mans and used the Lotus name under license, and the Holzer Group, whose projects have competed in DTM, F1 and other forms of racing. Holzer will do all of the "development, production and assembly" of the bike. So much like the Lotus F1 team, which in reality has basically nothing to do with Lotus Cars anymore, this looks to be a mere extension of the storied brand — a brand that still gets a lot of mileage despite seemingly being on the verge of going out of business all the time. If nothing else, it should look cool. Lotus has enlisted Daniel Simon, who previously was a senior designer at Bugatti and Volkswagen and has also penned kickass fictional designs like the cycles from Tron: Legacy and the retro-futuristic vehicles in Captain America. He said he has listed the famous Lotus 49 F1 racer from the 1960s as a particular inspiration, and said the bike will carry the classic Lotus black and gold livery. No word yet on whether this will purely be a racing bike or whether it will be commercially available. Images of the bike will be released in the next few weeks, but until then, we'll have to make do with the teaser they released above. Anyone else interested in a "Lotus" bike?